Of course I love this maxim. In fact, I could live my life by it if only society would allow me full freedom. There is one big problem with it though. I am trying very hard to get my sons to understand the need for rules and live by them, while at the same time teaching them that it is sometimes OK to break them too. 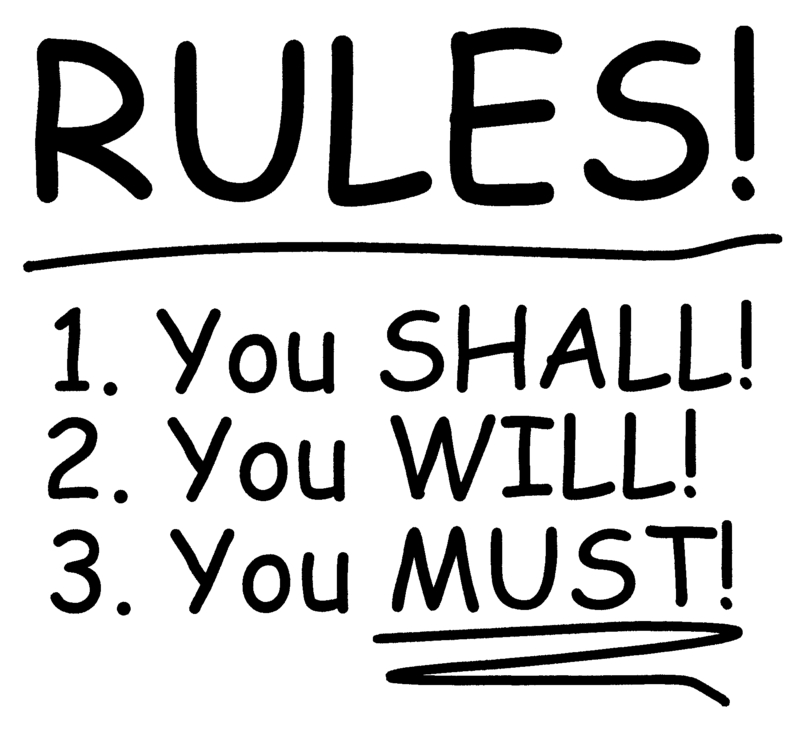 Examples abound of people trying to put down their own rules, over and above the laws and regulations of the country or organisation or community or whatever you find yourself in. Sometimes they actually manage to sum up your environment or circumstances very well. There are two great rules in life, the one general and the other particular. The first one is that everyone can, in the end, get what he wants, if he only tries. That is the general rule. The particular rule is that every individual is, more or less, an exception to the rule. Doesn’t it just sum up the human race rather nicely? But let me get to what actually got me thinking about rules. A few days ago I, like hundreds of times before, went down a flight of stairs in the building of the oil company I work at in Luanda, Angola. If you have read some of my previous blogs you may recall that they are very big on rules, especially as far as the health and safety of their employees and contractors are concerned. I looked up and once again saw the laminated A4 with the stair rules on the wall. And like so many times before I once again read it. Then it struck me: I have just disobeyed one of the rules! What now, should I go and report myself to the HSE Committee? Go on, read it again. Here we have a set of rules that are very important and, believe you me, taken very seriously by the company. And what do they do? Force you to break the rules while all you are trying to do is familiarise yourself with them. I guess life is complicated enough without having to be burdened with conundrums like these. To help make your life a bit easier I will therefore take the liberty of teaching you one of the most important lessons I have learned in the past few decades.